PayPal engineer is developing a new way to detect ransomware attacks and stop them. This week, the U.S. 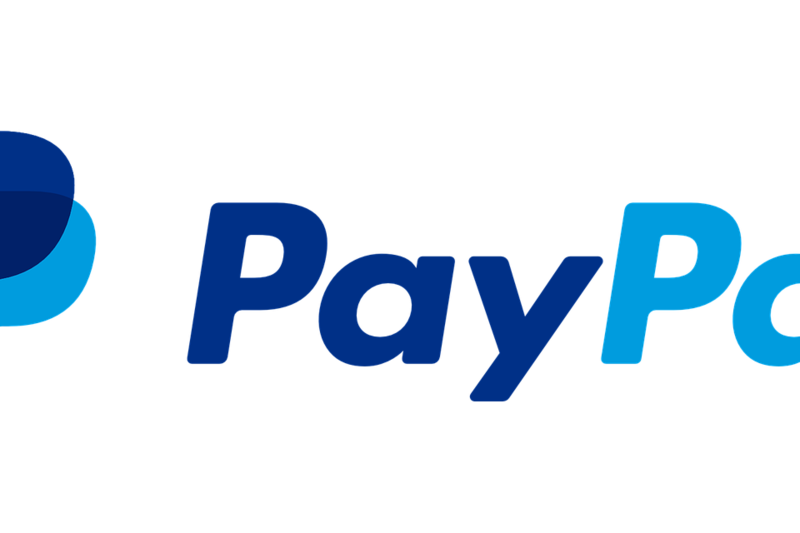 Trademark and Patent Office has granted PayPal an online payments patent to detect and stop ransomware attacks. According to U.S. patent no. 10262138, published on April 16, PayPal believes that early stages of ransomware infection can be detected and one action taken — by stopping encryption, or saving a copy of the unattended original file from a remote server, as a backup before it becomes encrypted and can later be restored. HOW PAYPAL CAN DETECT RANSOMWARE? Paypal claims to be able to detect the start of a ransomwares infection at the heart of the patent. PayPal says its system will check to ensure that all files are loaded when local files are loaded into a computer’s memory cache, where an application needs to perform an operation. PayPal’s system will search for a certain pattern of action–when the file is duplicated and high-entropy operations (encryption) are performed on doubles. This is a common technique that many ransomware strains use to encrypt a copy of the original file and delete the original permanently, and to send a encrypted copy to the hard drive to replace the legitimate file. The solution of PayPal is to detect this pattern and to present a whitelist of apps which can perform these actions. When an app process that does not perform these operations is on the whitelist, the system of PayPal stops the process and/or sends a copy of the original file to remote cloud services for backup. The design has been unique in comparison with other Ransomware detection systems. For example, in early2016, a US developer named sean williams created a ransomware detection system for Linux systems called cryptostalker to monitor the filesystem for newly created files and to alert the system owner if the files were created at high speed and contained a random number of data (the sign of encrypted contents). Similarly, the cyber-security business Cybereason launched a defeated RansomFree application in December 2016, which detected the onset of ransomware infections by using directory names with special characters to ensure that ransomware first encrypts files stored on these directories. RansomFree processed changes by monitoring files in these folders, detecting and stopping the process that made changes. Windows 10 v1709 was also included with a ransomware detection system released in October 2017, and includes the Controlled Folder Access function rebrands as Ransomware Protection from Windows 10 v1803. Microsoft Ransomware detection allows Windows 10 to detect Ransomware by making a whitelist of approved applications which could make file changes in the selected directories. Windows 10 can be used to detect ransomware. Although it is very efficient, the system isn’t widely used because it requires a great deal of manual setup to whitelist all the benign apps the user has installed on his computer and then choose folders to get protection from ransomware. But none of these systems has had a real impact over the years in the general scheme. Despite ransomware attacks that are more than half a decade old by now, no strong ransomware prevention system is in place, and ransomware still works out amok if deployed on users ‘ or company’s internal networks. The system of PayPal appears solid on paper, but a field test is still needed before it becomes commercially viable. The patent author is CyberSecurity Schlomi Boutnaru’s former Chief Technology Officer, PayPal now Chief Technology Officer, Cloud Security Bureau Rezilion. Traces of the group were found by researchers in a new critical infrastructure facility. Traces of a hacking group behind destructive Triton malware were found in new facilities after an infamous Middle East attack. Triton, also known as Trisis, has been specifically designed to target a specific type of ICP system, namely the SIS controller Triconex that is developed by Schneider Electric. Triton is also known as Trisis. The malware is unusual because the code on these systems causes process shutdowns and disturbs urgent systems. There are only a handful of examples of malware specific to industrial systems, such as Stuxnet and Industroyer, which in the past have been targeted by nuclear and energy systems. Triton was first discovered in 2017, but system operators are believed to have been active since 2014. The malware was used against a Tasnee-owned petrochemical plant in Saudi Arabia. Symantec researchers believe that the attack was designed to damage the industrial site physically. This attack nearly caused serious damage to the plant, but the activities of Triton inadvertently shut down the plant because of its manipulation of SIS systems which resulted in a failed safe situation. FireEye researchers said this failed attempt on Wednesday did not deter the group uncovered at a new location. The company’s name was not revealed. FireEye, however, said the victim is a’ critical infrastructure facility’ and that Triton operators have been present for almost a year on the victim’s systems. FireEye’s cyberforensics Mandiant arm was involved in the study of intrusion, but it remained closely aware of what damage-if any-was caused. The cybersecurity company however published some new details on the infiltration tactics of the Triton Group. After gaining a foothold in the network’s corporate side, Triton focused on accessing the industrial system’s operating side. The actors involved in the threat did not steal data, take screenshots or use any kind of keylogger; instead, they concentrated on moving the system side by side, maintaining persistence and network recognition. The toolkit for the threat group includes both generic and customized tools which have been switched around to prevent antivirus software and facilitate several phases of the attack–for example, hackers have switched to individual backdoors in the victim’s IT and OT networks before accessing a SIS engineering workstation. The hackers use Mimikatz, a public tool and SecHack, a custom tool for credential collection. Triton operators have also renamed their files as legitimate files, such as Microsoft Update, and used webshells and SSH tunnels for covert activity and to drop additional tools. “The actor, when accessing the targeted SIS controllers, seemed to be focused exclusively on maintaining access when attempting to deploy Triton successfully,” says FireEye. Triton operators kept their activities off-duty to reduce the risk of discovery. The hackers also had access to the distributed control system (DCS) of the victim that would have supplied information about plant processes and operations. The group ignored this, however, and focused on the SIS controller alone. Although Triton’s malware itself is supposed to be not deployed in the victim’s system, it would surely have been a serious matter of concern to find traces of the hacking group behind this harmful malware, especially given its past history. FireEye has previously linking Triton with “high confidence” the Russian Central Scientific Research Institute for Chemistry and Mechanical Research, based in Moscow. “Often, the security community focuses on ICS malware with a singular focus, in large part because of its novel nature and because there are very few examples of it in the wild,” says FireEye. Japanese automaker Toyota today announced its second violation of its data. This is the company’s second cyber-security accident in the last five weeks. During the first incident in its Australian subsidiary, the breach was today announced by the main offices of the company in Japan. 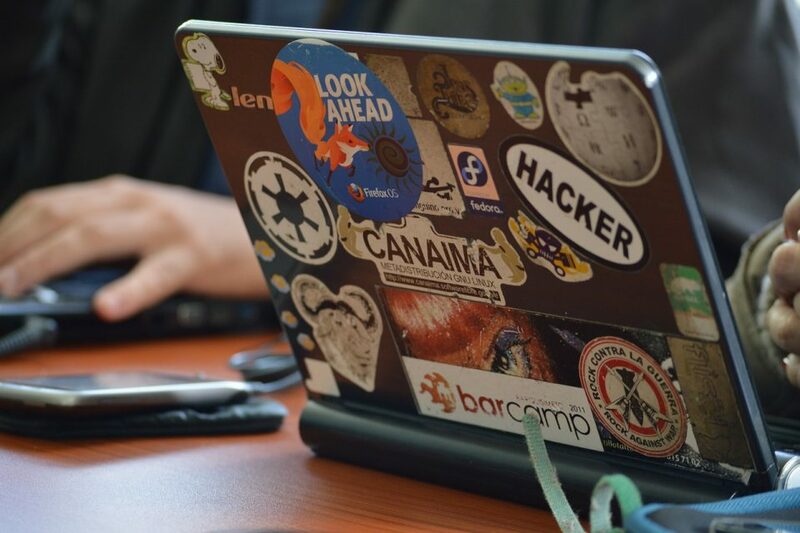 Hackers have violated their IT systems and accessed data from multiple sales subsidiaries. 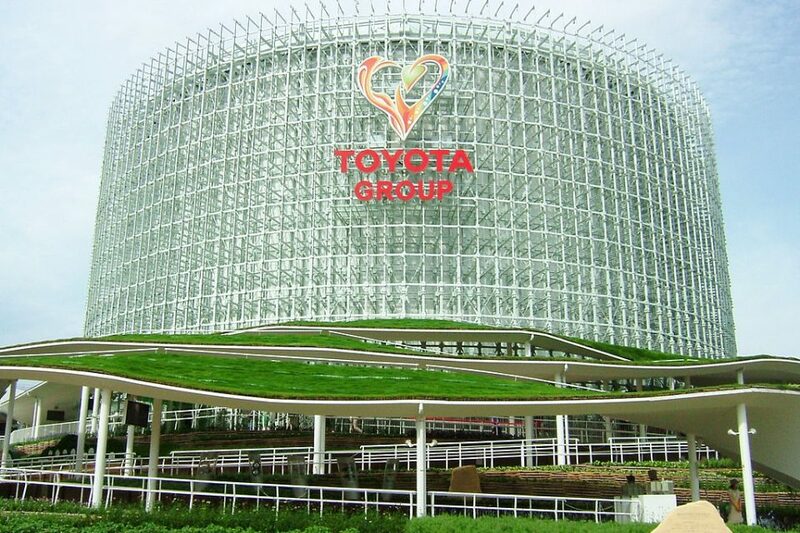 The list includes the Toyota Tokyo Sales Holdings, Lexus Koishikawa Sales, Jamil Shoji (Lexus Nerima), the Toyota Tokyo Corolla, Toyota Tokyo Toyota Toyota, the Lexus Tokyo Corolla and the Net Toyota West Corolla. Toyota said that the servers that hackers have accessed have saved up to 3.1 million customers sales information. The car maker said an ongoing investigation is underway to determine whether hackers have ex-filtrated any data they have access to. Financial customer details have not been saved on hacked servers, Toyota said. This is the company’s second cybersecurity this year, after a similar incident was reported by the end of February but affecting its Australian branch. The attack on his Australian office was of a more disruptive nature, which has reduced the ability of Toyota Australia to handle sales and deliver new cars. Check the  @riskybusiness podcast ️ episode (534). A chat with a Toyota Australia dealership employee leads to a reexamination of the impacts & motives of their recent breach. Some industry experts attributed Toyota to APT32 (OceanLotus), a Vietnamese cyberspy unit which focuses on the automotive industry. Experts suggested that Toyota’s Australia branch was targeted by APT32 hackers as a way of getting into Japan’s more secure central network. At the time, Toyota refused to confirm any of these theories and assign the attack to the hackers of APT32. However, after the attack on its Australian branch, the company said it would start an internal audit of its IT systems, and the today publication only burns fuel to the APT32 theories. Microsoft security chief: IE is not a browser, so stop using it as your default. Internet Explorer is a “compatibility solution “and should be used only selectively, Microsoft exec warns. Chris Jackson, Microsoft‘s world leader in cybersecurity, does not really want corporate customers to use IE for all web traffic, although it would be the easiest option for some organizations. The main focus of Jackson’s argument is that you should only use IE selectively for internal sites that need it, pointing to tools such as the IE 11 Enterprise Mode Site List to help customers make the transition and limit the use of IE to where it is needed. Jackson doesn’t mention customers using Edge, the soon-to-be browser based on Chromium, anywhere. He doesn’t suggest using Chrome or Firefox, but most developers aren’t testing IE sites. “I’m not here to enforce any browser on anybody. We don’t support new web standards for it, and while many sites work well, developers generally don’t test Internet Explorer these days. They test on modern browsers. “So, if we continued with our previous approach, you would end up in a scenario where you wouldn’t be able to use new apps as they emerge by optimizing what you have. As new apps come out more frequently, we want to help you avoid missing an increasingly large part of the web. “Jackson admits that Microsoft is partly responsible for customers ‘ willingness to take on technical debt. In particular, he highlights Internet Explorer 6, released in 2001, the year of Microsoft’s IE-Windows antitrust settlement in the US. Personal information from 14,200 people diagnosed with HIV was leaked online by an American living in Singapore who, through his partner, had illegally accessed the data. According to local authorities, the data of another 2,400 people listed as part of a contact tracing process has also been exposed online. In a statement issued Monday by the Singapore Ministry of Health, Mikhy K Farrera Brochez, a US citizen residing in Singapore, said that confidential data from his HIV registry had been illegally accessed and leaked on a pass. The persons concerned included 5,400 Singaporeans and 8,800 foreigners diagnosed with HIV between January 2013 and December 2011. The ministry said that their name, identification number, contact details including telephone and address, HIV test results and related medical information had been leaked. The names, identification numbers, telephone numbers and addresses of 2,400 identified as part of the contact tracing process up to May 2007 were also identified. The Health Ministry said that it was alerted by local police that the data was in Brochez ‘s possession, who had previously been convicted of various fraud and drug-related crimes, in particular for lying about his HIV status in order to maintain his job pass and use forged degree certificates in applications for employment. Since then, he has been deported from Singapore and stays outside his shores. Brochez had illegally accessed the data through his partner, Ler Teck Siang, who was a Singaporean doctor and had authorized access to data in the local HIV registry as head of the National Public Health Unit of the Health Minister. The database contains information on HIV-positive individuals and is used to monitor the HIV infection status of the country, to facilitate contact tracing and to evaluate prevention measures for diseases. Ler resigned in January 2014 and was convicted of inciting Brochez to commit fraud and to provide the police and the Ministry of Health with false information. He was also charged under the Official Secrets Act of Singapore for failing to take reasonable care with confidential data on HIV-positive patients. In May 2016, the Ministry submitted a police report stating that Brochez had confidential information, which appeared to be from the HIV Registry, which prompted a property search during which relevant information was found and taken. The American was deported in May 2018, after which the Ministry of Health was informed that certain records from 2016 were still kept, however, the data did not appear to have been exposed. Only on 22 January this year the Ministry was alerted that further information from the HIV registry remained in Brochez ‘s hands, who had leaked the information online this time. The Ministry of Health said that it had started to contact affected persons about the incident and worked to “disable access to information.” “We are working with relevant parties to scan the Internet for signs of further information disclosure, “he said, adding that Brochez is currently under police investigation and that local authorities are seeking help from their counterparts abroad. It noted that additional safeguards have been implemented since 2016 against the misuse of information by authorized staff, including a two-person approval process for the download and decryption of information from the register. In addition, a workstation was specifically set up and “locked “to prevent unauthorized data from being deleted from the HIV registry. As part of a government-wide policy, the use of unauthorized portable storage devices on official computers was also disabled. Commenting on the data leak, the Action for AIDS in Singapore said that it was “deeply troubled “because the breach could “damage “the lives of people living with HIV.” We stand with all those whose personal information has been accessed and infringed. This is a criminal act to be condemned and replied to as severely as possible, “Monday said in a statement. In July 2018, personal data of 1,5 million SingHealth patients have been compromised in the most serious data breach in Singapore to date and found to be the result of misconfigured IT systems and IT staff who lacked knowledge and resources about cybersecurity. Cybercrimes are easier if the victims are confident they could not be targeted by cyber-attacks. The first step is to understand that you are a target and that you can take active and passive steps to reduce your risk. Cybersecurity software security is just half the fight. Even if your computer can not be hacked, you can still be tricked by a cleverly disguised phishing email or scam website to download a virus or give up personal information. Learn how to identify suspicious and malicious online activities so that you can secure your own greatest weakness. You can give other people access to sensitive data if your devices are lost or stolen. Hackers can even take responsibility for their own hardware, so learn how to tell if your laptop camera is hacked. You are asking for trouble when you use “password123.” For a more secure password, use the upper case, lower case and numeric characters. Choose something unexpected that makes sense to you, but nobody else–it’s almost impossible to imagine. VPNs and antivirus programs are powerful tools to keep hackers out. Not all VPNs are the same, however. Free services can be appealing, but they generally keep traffic logs of their users to earn ad revenues. Some full feature VPNs, such as NordVPN, cannot guarantee logs and make them available to some of the most private VPNs. Public Wi-Fi is notoriously insecure, while schools or work networks can monitor your traffic. Always track the connections and understand the risks of public networks. There’s a reason why they are called “viruses” –they’ve been made infectious. It just doesn’t suffice to monitor incoming downloads or file shares –USBs or even CDs can carry viruses from computer to computer. If a software or operating system developer finds vulnerability in their product, they release an update to patch it as soon as possible. Updates can be troublesome, but they help to keep you safe. The “nuclear option” to remove a virus is to reset your device or wipe it and re-install the operating system. Prepare your most important data for this possibility –and make sure it is not infected when you return it to your system. Not all cyber-attacks can be recognized as such immediately. Some hackers can content themselves with using their devices or accounts in a botnet. Others won’t attack you by cyber, but they’ll steal your identity to disappoint others. All these activities, while subtle, leave a trail of suspicious messages or unauthorized links that are often identifiable and used to secure your account. The information includes first and last names, addresses, date of birth, identification numbers, genders and more customer details. No social security numbers and details of the financial account were affected in the violation. Blue Cross Blue Shield of Michigan has suffered a potential data breach that could lead to the exposure of nearly 15,000 customers ‘ personal data. The violation occurred in late October 2018 following the stolen of a laptop belonging to an employee of a vendor contracted by a subsidiary of Blue Shield, COBX Co. The device was stolen on 26 October and the robbery was reported to Blue Cross officials on 12 November. The company said that hackers could have obtained credentials from the employee beforehand to steal the data. The information affected includes first and last names, addresses, date of birth, identification numbers, genders, medications, diagnoses and customer insurance information. Since they were not stored on the laptop, however, no social security numbers and financial account details were concerned. We are working closely with our subsidiary to review policies and procedures and introduce further safeguards. At the Blue Cross and Blue Care Network, we take the safety of health information protected by our members very seriously and sincerely apologize for this incident, “said Kelly Lange, Vice President of Blue Cross in a statement, reported Detroit News. The company also provides free identity protection services to all concerned members for a period of one year as part of the precautionary measure. It should be noted that 16,000 Blue Cross patients were exposed in another incident this year due to an employee error. Such incidents remind healthcare companies to use stronger cybersecurity measures and train their employees to adhere to the best safety labels. © 2019 - CYBERS GUARDS. All Rights Reserved.